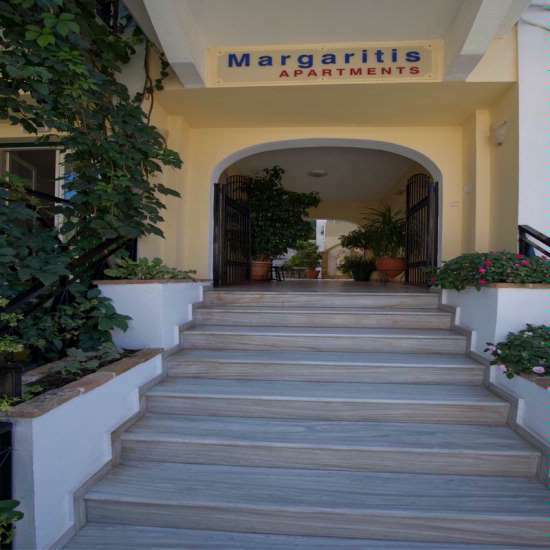 The lovely and welcoming Margaritis Apartments are located down a small road close to Piso Krioneri beach. 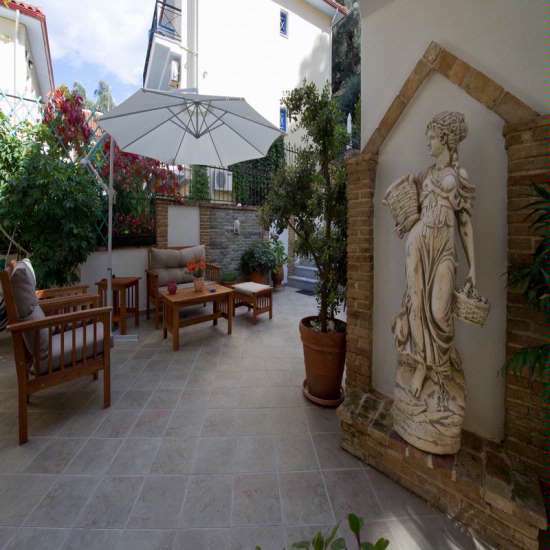 The outside of the building is attractive and inviting and as you enter you can smell the colourful fragrant flowers and plants which adorn the exterior of the building. 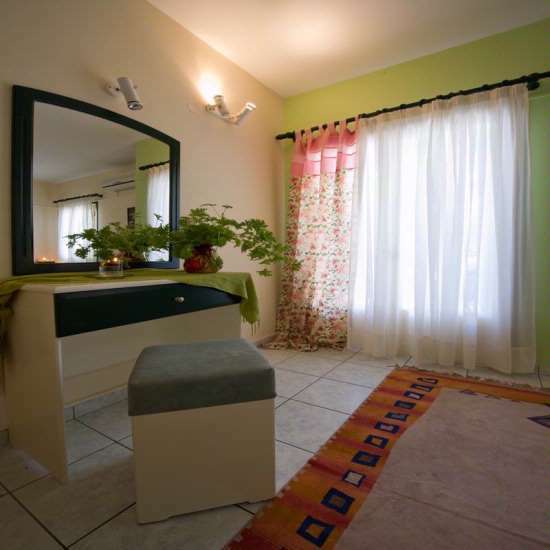 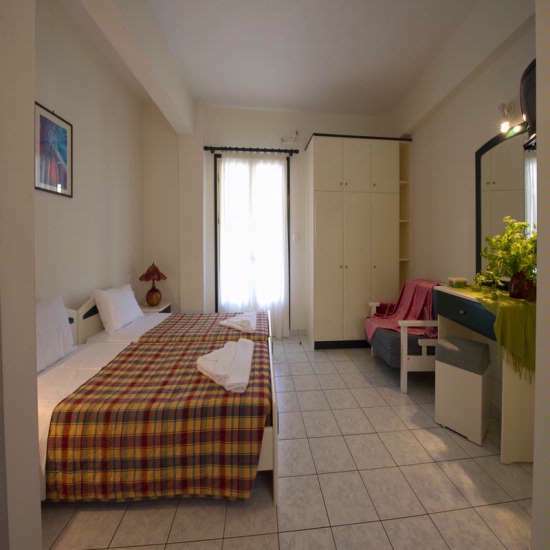 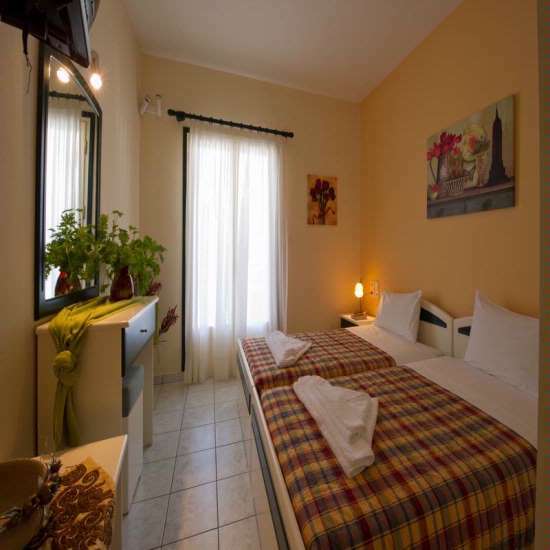 The house on several floors is made up of comfortable, well furnished studios and apartments which are well-maintained. 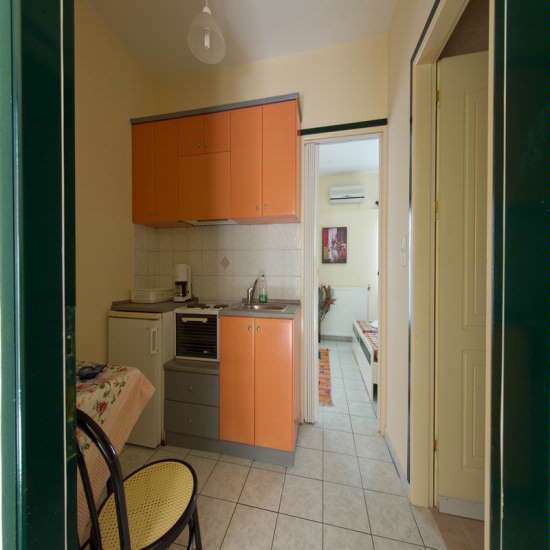 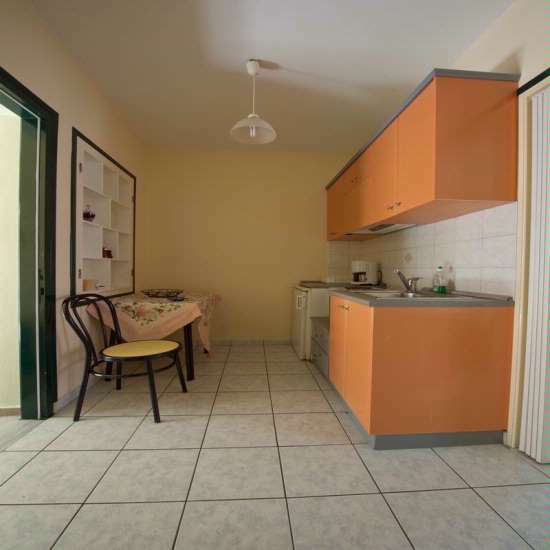 1 Bedroom Apartment for 2 adults + 2 children or 3 adults have a kitchenette with a mini oven, coffee maker, fridge. 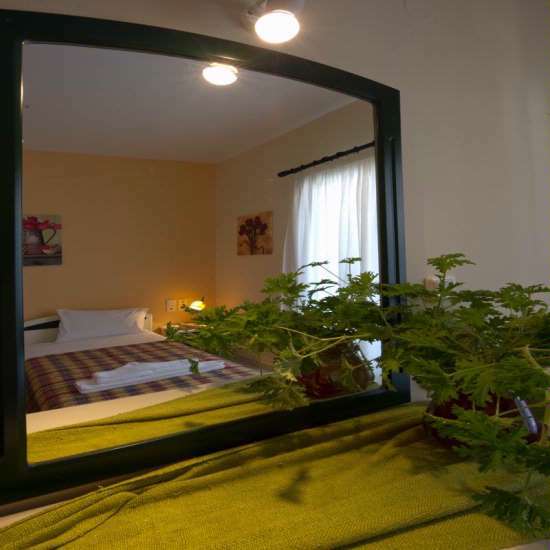 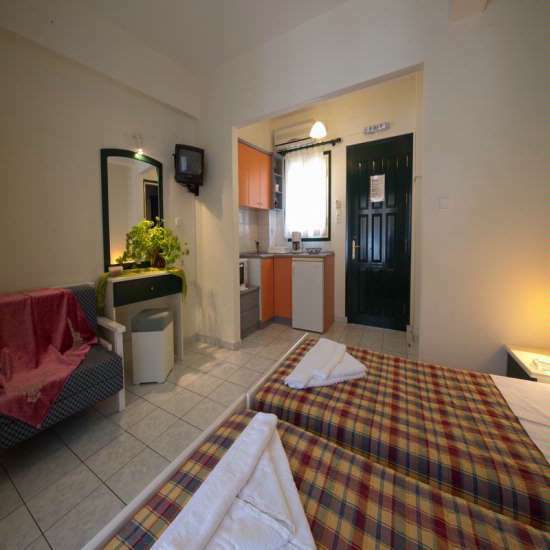 Shower room and a separate room with a twin or double bed and balcony and satalite TV, extra bed can be a fold away bed. 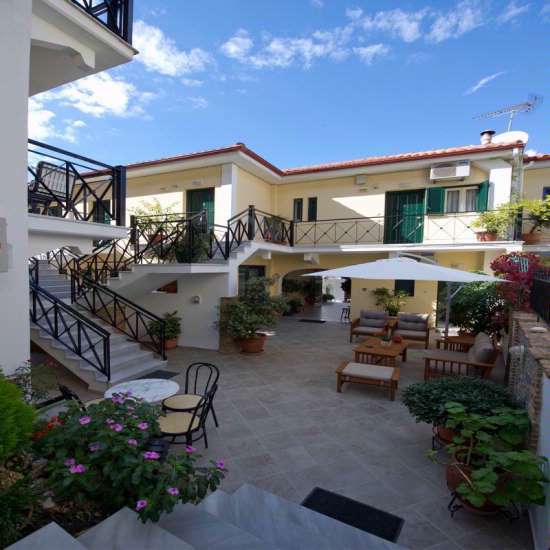 The balconies of Margaritis Apartments look out to the small path and the surrounding lush olive groves. 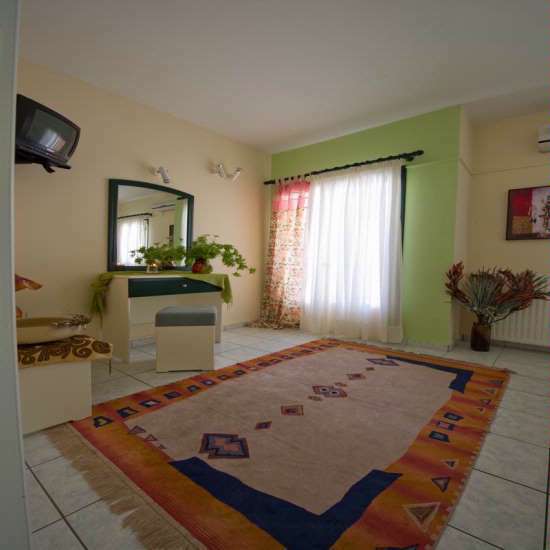 there is also a reception service from the very friendly owners that live on-site. 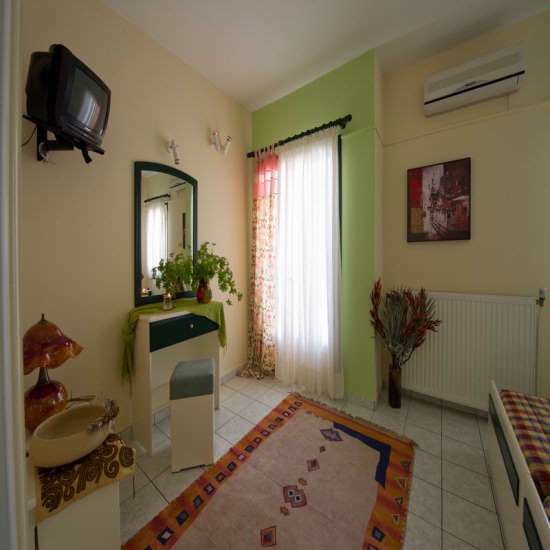 All of Pargas amenities are within walking distance from the property. 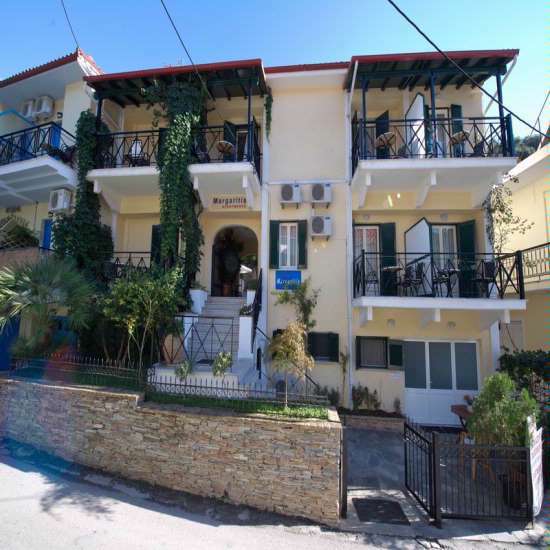 There is a supermarket, bakery and tavernas just a short walk away and of course the beautiful Piso Krioneri Beach. 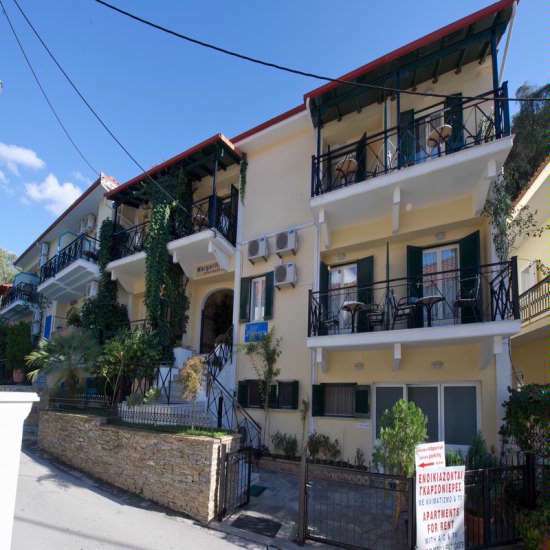 A little bit further away is the charming harbour area with a great choice of tavernas, restaurants and cosmopolitan bars. 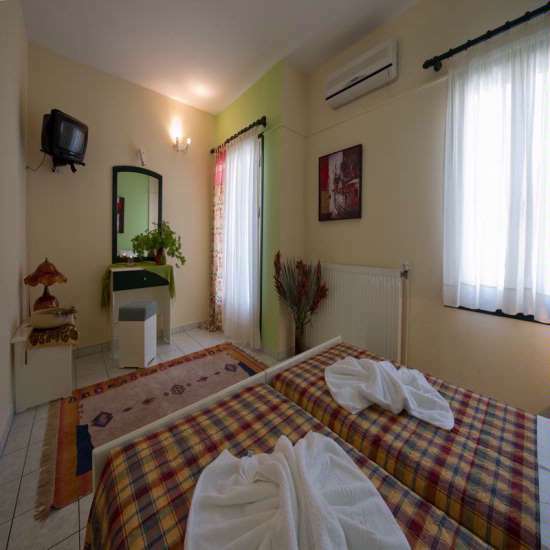 The Town beach is also just a short stroll away.